GRAFENWOEHR, Germany — Spring has arrived in Bavaria and nature is coming back from hibernation. This also marks the beginning of gardening season, when seeds and young plants are brought out and tended to so they can produce a plentiful harvest. The same is true for Tower and Rose Barracks where the soil on the community garden plots is being made ready right now. 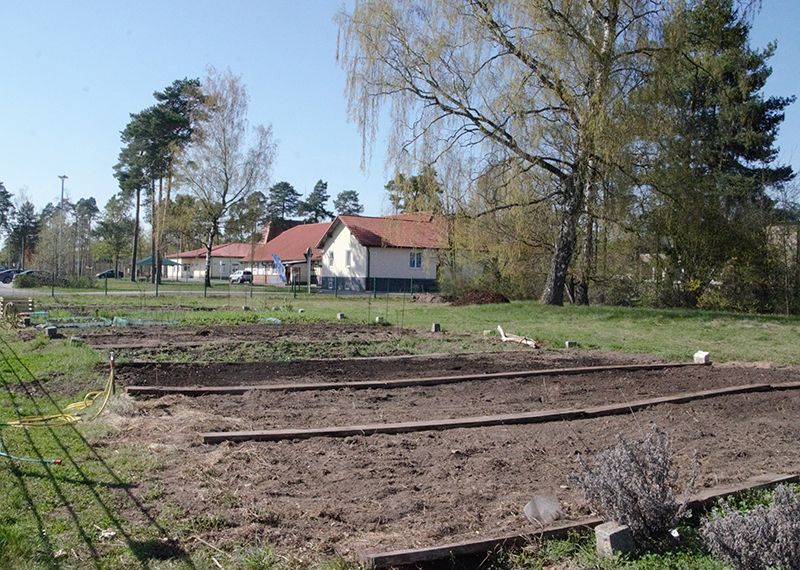 On the 24 garden plots, community members can plant and harvest their own produce. It is up to the gardeners to decide what they would like to plant. The community garden plots are not only an opportunity to grow your own fresh produce locally, but also a place where community members can come together and bond over their shared passion for gardening. Once you have a plot, it does not take much to start. All the gardening equipment one might need can be found on-site in an appliance room open to all gardeners. If need be, you can even build your own small garden shed on your plot, added Groeger. There is enough space because each plot is up to 25 square meters in size. Everyone with a housing account can request a plot for themselves, but keep in mind that interest is high and it is already time to start planting. Registration starts every year around the end of March, and plots are assigned for one year. If you want to sign up for a community garden plot, stop by Self Help in Bldg. 394 on Tower Barracks or Bldg. 103 on Rose Barracks. They will check the list and see if there are plots available. For more information, contact Tower Barracks Self-Help at DSN 475-6331 or CIV 09641-83-6331, or Rose Barracks Self-Help at DSN 476-2577 or CIV 09662-83-2577.